This past Thursday I had a chance to trek up to Hollywood and visit Gnomon for their “The Making of Guardians of the Galaxy” presentation. Some really awesome artists were on hand to talk about their work and process. I was fortunate to get a great seat and really take in all of the information that Josh Herman, Andy Park, Jackson Sze, Anthony Francisco, Rodney Fuentebella and Charlie Wen shared with the group. Wish I could have taken some pictures. There’s a great recap with some pictures on Gnomon’s site. 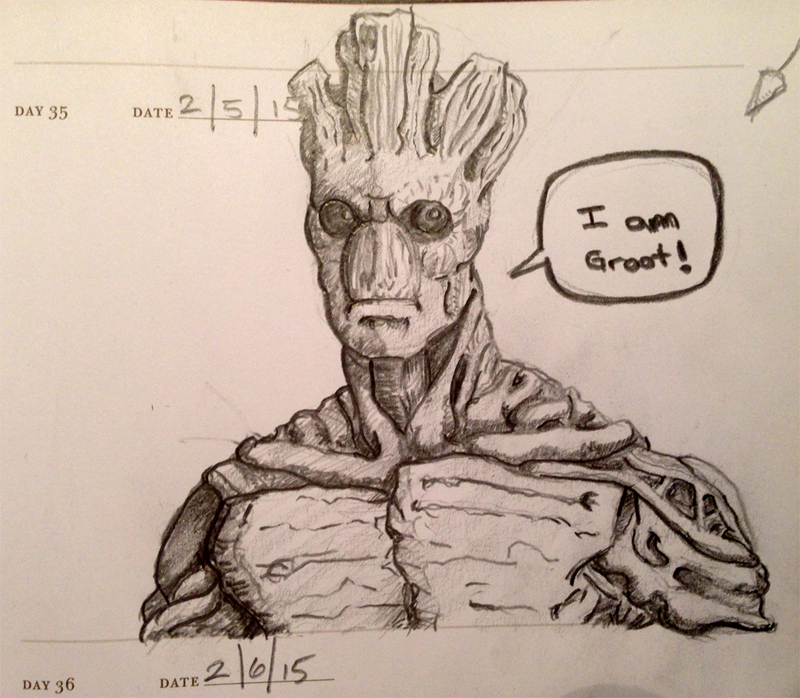 After getting home I added a drawing of Groot to my “One Sketch a Day” sketchbook. This entry was posted in 2d Art, 3d Art, Art, Concept Art, Creativity, Inspiration, Learning & Education, VFX and tagged Art, Creativity, gnomon, Guardians of the Galaxy, Inspiration, One Sketch a Day by Jammin. Bookmark the permalink.